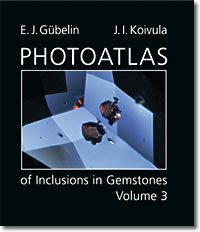 This Volume 3 completes the Photoatlas Library of Inclusions in Gemstones - a galaxy of superb photographs by internationally acclaimed inclusionists Edward Gübelin and John Koivula. 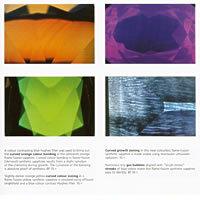 A beautifully produced collection of sunbursts of colour with scientifically significant explanatory captions. 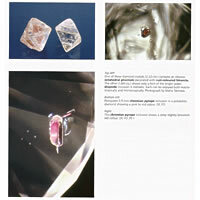 Photoatlas Volume 3, the final volume in the highly praised series, Photoatlas of Inclusions in Gemstones, focuses on inclusions in the major commercial gems (diamonds, rubies, sapphires, and emeralds) and inclusions in rare and unusual host materials, such as ekanite and taaffeite. 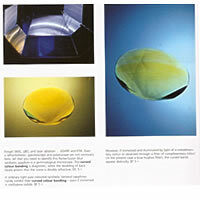 This last book in the Photoatlas library concludes the 35-year collaboration of the renowned gemological authorities, EJ Gübelin and JI Koivula. 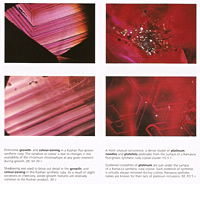 With the completion of Volume 3, Gübelin and Koivula have provided gemologists with the complete, authoritative photomicrographic reference volumes on inclusions in gemstones. …it is an essential reference for anyone involved in the identification, research, or appraisal of diamonds, rubies, sapphires and emeralds. Each chapter in Volume 3 contains useful information on the microscopic characteristics of natural, synthetic and treated host materials, along with numerous color photomicrographs and a section on selected references. 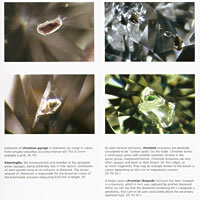 A book such as this is truly a gemological course. The price is worth it and it will never go out of date. Hardbound, approx. size 10 x 8.5 x 1.75 , shipping weight 7 lbs. What we now have is one incredible body of work, on the order of Goldschmidt's nine-volume Atlas der Krystallformen or John Sinkankas' bibliographic tour-de-force, Gemology. Like the previous two volumes, this one is abundantly illustrated with high-quality photomicrographs that brim with information, clarity, and beauty. Connecting us to nature like nothing else can, the microworld of mineral and fluid inclusions in gems is fascinating, beautiful, and visually inspiring. 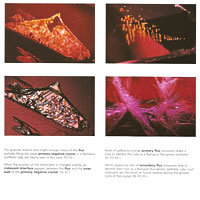 Like the two volumes that came before it, Photoatlas of Inclusions in Gemstones: Volume 3 is a photographic expression of this varied and colourful world. Beyond the visual appeal however, this micro realm is becoming increasingly important to those that need to recognize and separate treated stones and synthetics (which are available in quantity and have limited value as gems) from nature’s truly rare and valuable treasures. This current work discusses and illustrates the very latest discoveries of mineral and fluid inclusions in nature’s diamonds, sapphires, rubies, and emeralds. It also contrasts each of them with the micro-characteristics of their treatments and synthetics through the use of numerous detailed and colorful photomicrographs, all with an eye toward visual separation. Some extremely rare and unusual gems, such as kornerupine and taaffeite are also addressed and photographically detailed in Volume 3, further extending its appeal. Many of those working with gem materials; both scientifically and commercially, find that the microscopic exploration of gems leading to the discovery and interpretation of inclusions is the most interesting field in all of gemmology. In the specialized world of microscopic gemstone analysis a picture truly is worth a thousand words. The literally thousands of colour images contained within the 3 volume Photoatlas series represent decades of exploration, research, and highly specialized photomicrographic documentation. Focusing on the gems that are most commercially important, and with chapters addressing some of natures more unusual gem minerals, Volume 3 in this series is a fitting culmination to those years of research.